“More than 11,000 people have signed a petition against proposed tougher gun laws in the wake of the Christchurch mosque massacres, criticizing the changes as ‘unjust to law-abiding New Zealand citizens,’" CNN reports. The petition, promoted by Gun City, the retailer where the killer bought four of his firearms, calls for, among other things, an “independent inquiry” on how the killer got New Zealand gun licenses, an “accurate description” of the guns the government is going after, and raises compensation questions. What it does not do is protest the fact that guns are being scapegoated and gun owners punished and rally opposition to any restrictions. Indeed, with Martin Taylor, chief executive of the 150,000 member Fish and Game New Zealand announcing “[W]e support the need to change gun laws to keep New Zealanders safe. A key part of that is getting rid of military assault rifles,” the “sporting purposes” crowd has (once more) come down squarely on the side of the gun-grabbers. Encouraging a surrender mentality appears to be working, at least if the mainstream media is to be believed. And another group of New Zealanders has made it clear they consider bans a joke and will continue being criminals. The Mongrel Mob has made it clear they will keep their guns regardless because they need them to protect their drug trade from other gangs. One group unquestioningly unified for a gun ban is New Zealand’s political establishment. Ever creatures of survival and self-advancement, they see the political momentum favors media-savvy Prime Minister Jacinda Ardern, who immediately grasped that the time was ripe for a gun-grab and that photo ops for the post-massacre blood dancing would look better in a hijab. The bleeding hearts followed suit to great “progressive” approval, with media stunts like “Headscarf for Harmony” to wear as a gesture of “solidarity” with New Zealand’s imported Muslim community. Ardern led a throng in a public park in Christchurch to listen to a nationally broadcast call to Muslim prayer, a move not lost on those who recall all Christian references were removed from parliamentary prayer and that Ardern deemed that “a bit more inclusive. Parliament adopted “a radical direction” in 1987, New Zealand, changing its immigration policies to bring in populations from dissimilar cultures. Adern knows that the pincers of citizen disarmament and cultural terraforming through importing alien demographics are fundamental to establishing unchallengeable power. She knows that because in 2008, she was elected president of the International Union of Socialist Youth, an affiliate of Socialist International, which unsurprisingly is “heartened” by the March for Our Lives “movement” and its young useful idiot figureheads. Among IUSY’s goals: “Building a new world order” (just like George H. W. Bush called for at the UN). “We strongly point out that the right to migrate freely in the world is fundamental,” IUSY declared in its 2009 resolutions, speaking in that case to the European Union. “[IUSY] urges the US Government to formalize an immigration agreement ensuring respect for the dignity of immigrants, recognizing their rights to work, and guaranteeing them access to health services and social security,” it added. Per Discover the Networks, a member of the IUSY is the Young Democratic Socialists, the “youth” section of the Democratic Socialists of America. Is it any wonder that “open borders”-demanding U.S. Democrats, particularly the overtly socialist, remain loudly supportive of Jacinda’s disarmament scheme, lamenting that our gun laws can’t be changed as easily and quickly as New Zealand’s? “This is what real action to stop gun violence looks like. We must follow New Zealand's lead, take on the NRA and ban the sale and distribution of assault weapons in the United States,” Bernie Sanders tweeted. “This is what leadership looks like,” Alexandria-Ocasio Cortez chimed in. And naturally, those who demand to control all will not be satisfied with just the guns. Just as we see efforts by the “socialists” in this country to control, marginalize, de-platform and eliminate speech that pushes the snowflake envelope, New Zealand has taken the next step to show our domestic collectivists what “real action” and “leadership” looks like. Look at New Zealand as a canary in a coalmine of sorts. This is what we have to look forward to if the globalist socialists here continue with their long march toward totalitarianism, and the outrage is, as evil as the manipulators behind it all are, it’s our ignorant, lazy, trivial, uninvolved, asleep-at-the-switch countrymen whose prime motivators are “feelings” and immediate self-gratification who enable it. Our advantage is there is yet a core, a critical mass, of gun owners who, like the poet said, will not go gentle into that good night. Hopefully, we’re teaching our children well, or after we’re gone they’ll need to learn firsthand what was never taught to them in public school history classes. 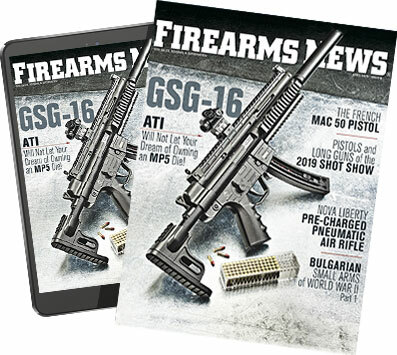 EDITOR’S NOTE AND UPDATE: On April 10th, 2019, the New Zealand Parliament voted to ban most semi-auto firearms in a 113-1 vote. Owners will have until the end of September to turn in their firearms or face five years in prison. 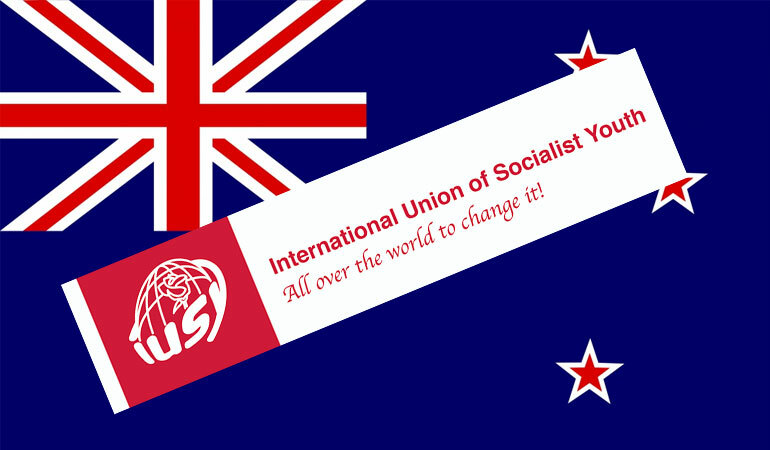 New Zealand has joined may other socialist countries on their quests to become “Communist-Lite” which seems to be the lifelong goal of Prime Minister Jacinda Ardern and the International Union of Socialist Youth which she was a leader of. 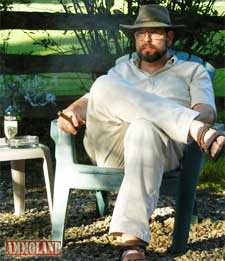 David Codrea is the winner of multiple journalist awards for investigating / defending the RKBA and a long-time gun owner rights advocate who defiantly challenges the folly of citizen disarmament.In addition to being a regular featured contributor for Firearms News and AmmoLand Shooting Sports News, he blogs at “The War on Guns: Notes from the Resistance,” and posts onTwitter: @dcodrea and Facebook.